Herbal relaxing drink and soothing to heart with digestive herbs. 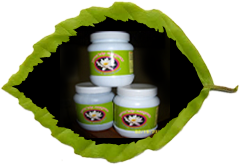 Contains best quality of Brahmi(gotucola) ,Shankhapushpi, Ella, Arjuna Vasaka,sunthi,Nagarmotha,Dalchini. Centella asiatica(brahmi) and convolvulus pluricaulis(Shankhapushpi) increases concentraion, relieves stress & anxiety. 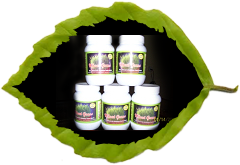 Increases immune system,purify blood, antioxidant, increases energy & haemoglobin. Grown in the clean, green and firtile soil of Himalaya- India, Rishikesh ayurvedashala grass powder is rich in wide base of natural nutrients including clorophill, vitamins, antioxidants and dietary fiber. Ayurveda Cones Natural Medicinal Ingredients used in balancing Vata-Kapha, removing Stress, Sinusitis, Migraine, Mental stress, Headache and removing negative energy from houses, During Yoga Meditatation gives relaxing effect. All these properties are detailed in the ancient Indian Text of Ayurveda. 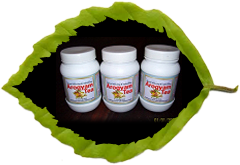 Each 10 gm contains: Ashta warga herbs 2.0 gms, himalayan goose berries 3.00 gms, ghee 1 gm, ela 0.2 gm, vanslochanam 0.2 gm, jayphalam 0.2gm, javitri 0.2 gm, tejpatram 0.2 gm, longam 0.2gm, rose 0.2 gm, dhanyakam 0.2 gm, swet jeerakam 0.2 gm, dalchini 0.2 gm, Muktashuktikam 0.2 gm, makardhwajam 20 mg, abhrak bhasma 20 mg, sharkara QS.